The story behind the Victory Diamond Jump to media player Imogen Foulkes has a sneak preview of Geneva's famous spring jewellery auctions and explains the story behind the Victory Diamond. Wallis Simpson's jewels auctioned Jump to media player A diamond bracelet once owned by Wallis Simpson, whose affair with Edward VIII led to his abdication, has sold for £4.5m ($7m) at auction. 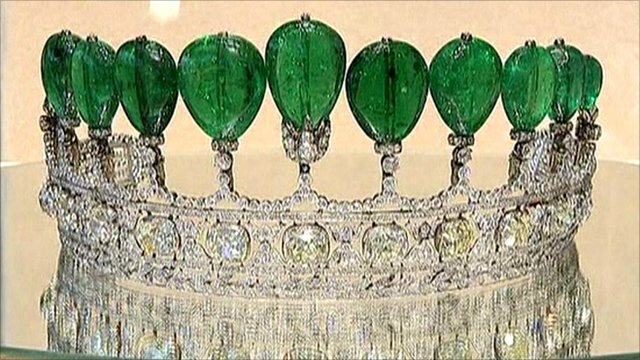 Rare jewels being auctioned Jump to media player Sothebys is to auction rare jewels including a rare emerald and diamond tiara once worn by a Russian princess. Elizabeth Taylor's jewels auctioned Jump to media player A collection of jewels owned by late actress Dame Elizabeth Taylor is being auctioned at Christie's in New York. Spring is in the air in Geneva this week. Daffodil yellow and hyacinth blue are the talk of the town, but in the wealthy Swiss city these are not flowers, but diamonds. The Victory Diamond - which belonged to Florence Gould, daughter-in-law of the American railroad magnate Jay Gould - is estimated at $5-$8 million. 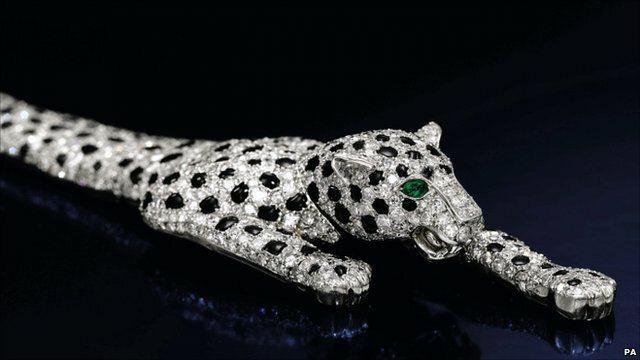 Imogen Foulkes has had a sneak preview of the jewel at Geneva's famous spring jewellery auctions.